Designed by the firm of Marshall & Fox, the building stands out for its marvelous terra cotta cladding, which complements the august red brick. This interpretation of the Second Empire style contains a brilliant mansard roof that is hard to miss from any surrounding vantage point. 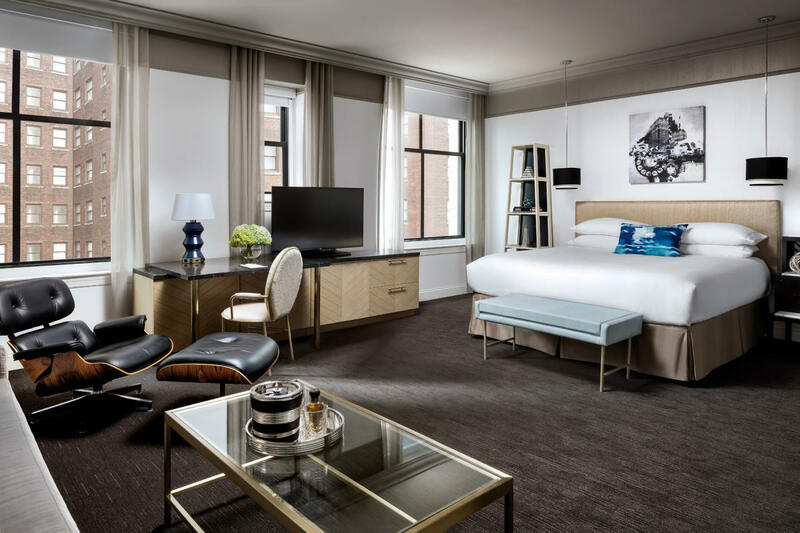 Visitors will also be pleased to know that the hotel also recently went through a smart and thoughtful renovation program as it became part of the Autograph Collection Hotels. Guests will note that the hotel contains 335 rooms, along with a cornucopia of amenities, including a fitness center, a sumptuous lobby lounge (with musical acts performing for guests from time to time), valet parking, shoeshine service, dry cleaning, a business center and pet-friendly rooms. 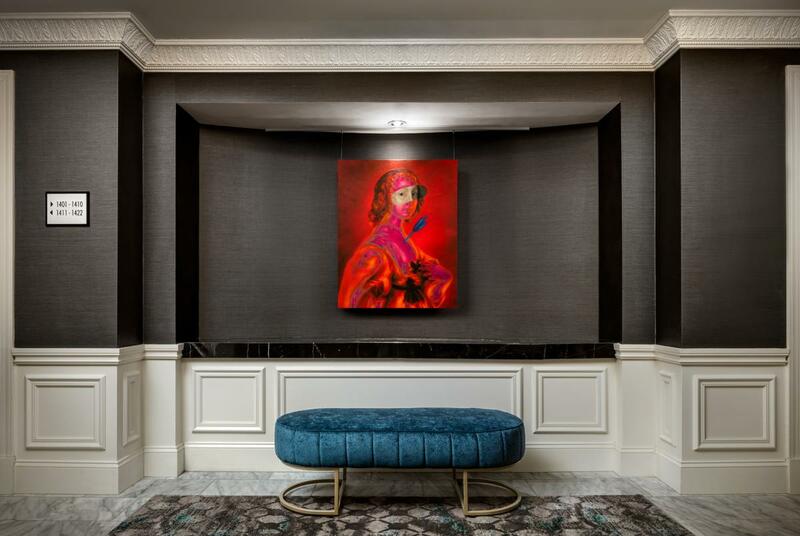 One could sit in the tastefully decorated lobby for many hours just to watch the cadence of the day as guests depart for conferences and celebratory events. Along the way, this public area takes on a life of its own as different groups convene, depart and reassemble depending on the hour. We might spend a few moments talking about the rooms, shall we? There are a variety of styles and configurations for various groups or individuals and all of them feature updated toiletry facilities, modern decor and elaborate beddings. Certain rooms also feature expansive views of Grant Park, Michigan Avenue and Millennium Park. 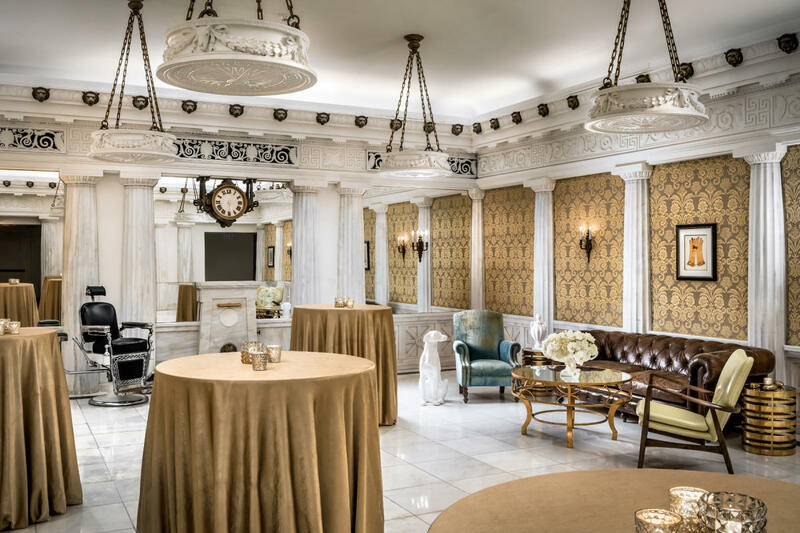 Folks looking for a bit of a decadent and worthy splurge might consider one of the presidential-style suites with their separate parlor rooms, formal foyers and upscale dining areas for personalized events. Of course, it’s also a smart idea to consider the well-curated public art throughout the building, offered via partnership with Johalla Projects. The idea behind this partnership is to support local and emerging artists through offering a platform for various parties to get up close and personal with the art. These works can be found within the Blackstone’s Art Hall, and on any given visit you might encounter a variety of media represented on these fine walls. Amidst all of this art and culture, you’ll want to remember to make a reservation at Mercat a la Planxa. 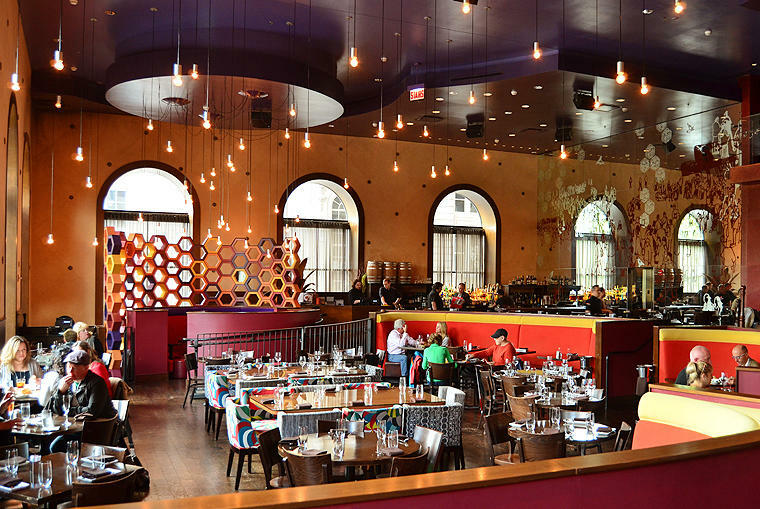 Located within the hotel, this tapas restaurant focuses on modern Catalan cuisine, and the bustle of their main dining room makes for a fine amuse bouche before any night-time activities in or around the Loop. Check out the Chicago hotel map to find properties all around the city, or search by location — here are 20 Chicago hotels that are close to everything. Did you know there are over 40,000 hotel rooms in the Central Business District? Browse hotel profiles on the blog for more insider guides. Hotel images courtesy of The Blackstone Hotel. Restaurant image courtesy of Mercat a la Planxa.